Waste toner container combines exceptional print quality with clean-hands technology for performance you can trust - no soap required. Container fits in Lexmark C520n, C522N, C524, C524dn, C524dtn, C524n, C524tn, C530dn, C532dn, C532n, C534dn, C534dtn and C534n. Capacity is up to 25,000 images. Marketing Information: Waste toner container combines exceptional print quality with clean-hands technology for performance you can trust - no soap required. 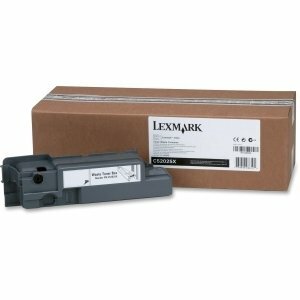 Container fits in Lexmark C520n, C522N, C524, C524dn, C524dtn, C524n, C524tn, C530dn, C532dn, C532n, C534dn, C534dtn and C534n. Capacity is up to 25,000 images.